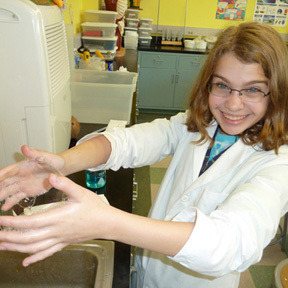 In our state-of-art Penn State Lab Learner science lab filled with experiments and lab equipment, the Science curriculum exposes students to the wonders and joys of science as it is found all around them. Materials are presented in a “hands on” interactive format. 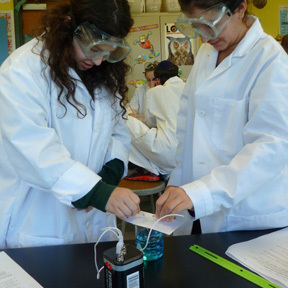 Students are encouraged to become involved in activities, to ask questions, and to continue further research at home. The scientific process is heavily stressed as a problem solving format. 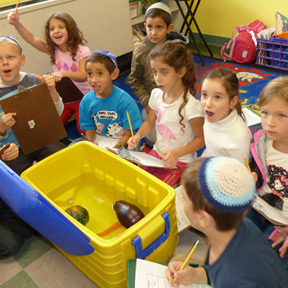 Students study the human body, with an added focus on health and nutrition. They investigate matter, microscopes, energy, simple machines and the water cycle. 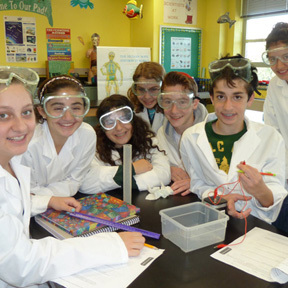 Upper grade students participate in school, regional and state science fairs and have gone on to win statewide awards.